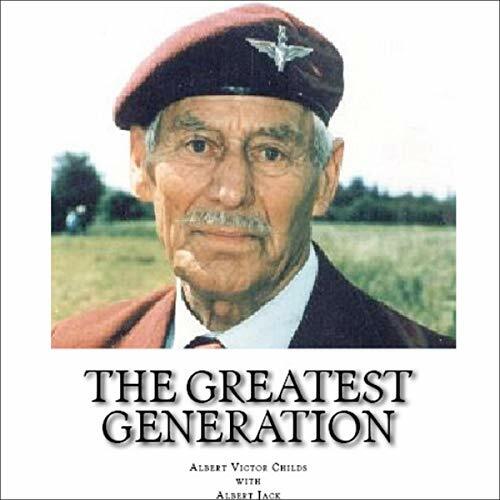 The Greatest Generation is the first-hand account of an English soldier who began his army career with the Long Range Desert Group in 1940, raided with David Stirling's Special Air Service, volunteered for the 1st Airborne Division, and took part in their first-ever jump. He then transferred to the 6th Airborne in 1943 and with them he dropped at Pegasus Bridge, battled the Bulge, jumped the Rhine, and fought through northern Germany to meet the Russians on the Baltic Coast where they celebrated together with vodka. Albert arrested Joseph Kramer, the Beast of Belsen, escorted Prince Olaf of Norway during peacekeeping duties, and finally confronted Jewish nationalists in Palestine. Now, for the first time, his personal account is available in audio format and provides a fascinating insight into the minds of the men of the parachute brigade who carried out such dangerous war-time operations. Narrated by Albert Jack (grandson).